Our Billy Goat brand Brush Mower is meant for flat open spaces with fresh grown brush under an inch in diameter. 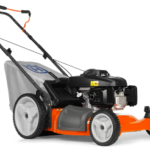 This mower may cut high grass but is often best used in conjunction with a string trimmer. 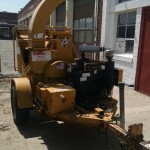 The machine weighs 300lbs and is pretty large so we recommend a pickup truck, cargo van or box truck to transport it. If you need ramps for loading and unloading let us know in advance so we can hold some for you.